We know you may have questions. Here are some of the more frequently asked questions. If you don’t find the answers you need here, please feel free to message us directly. Are your RV Campground sites all the same or are some better than others? Answer: All of our RV sites are full concrete and have sewer onsite, along with connections for water, cable, and 30- and 50-amp power. All are level and 40-feet long to accommodate recreational vehicles. The only real difference is that the Marina side RV sites are on the waterfront while the newer ones are farther back from the lake shore next to our new Lodge and swimming pool (costing $20 less). These amenities are included in the rates, along with ramp access and parking. There are bathhouses on site for guests located beside the General Store on the Marina side that are open 24/7 with on-demand hot water. Answer: You can find current pricing information on our rates page. Prices vary according to the time of year when you visit us. The High Season is March through October, when we require a minimum 2-Night Stay on Lodge stays no minimum on RV sites. Demand for accommodations slows down between November and February, when you can save some money compared to busier times of year. We also have higher rates per night during holiday periods for Memorial Day, 4th of July, and Labor Day. 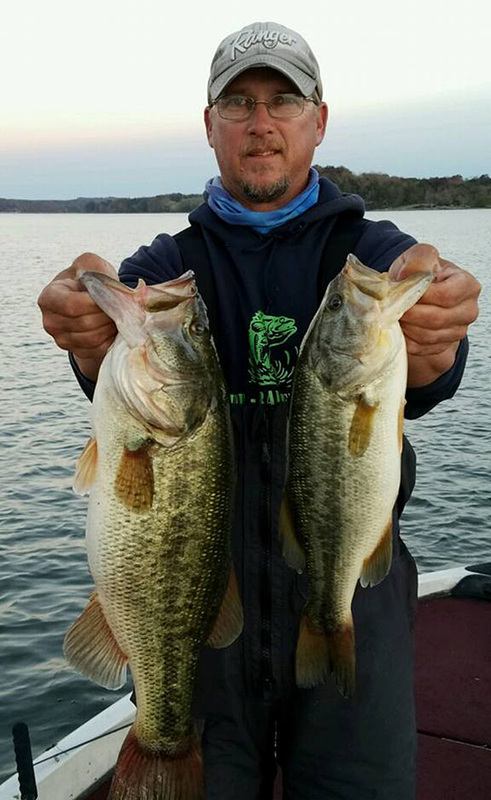 Do you offer any sort of discount if someone is participating in a fishing tournament on Chickamauga Lake? Answer: Yes! Tournament directors and participants receive 10% off during tournament weeks. Use Promo Code fish10 (no spaces) when making your reservation or when calling us at (423)775-3265. Check-in time for the Lodge, Duplex Cabin and Lake House is 4 pm onwards. Check-out time is 11 am. The Check-In time for the RV Campground is 11 am with Check-out time of 12 noon. Day Use/late check-out is subject to availability at a charge percentage of the daily rate. Answer: Yes, with a $75 pet fee per stay in the Lodge, Duplex Cabin and Lake House. Pets are allowed in the RV Park at no charge. Now you don’t have to leave a member of your family behind when you stay on the water. Just be sure to let us know when booking your room so we can make sure your pet also has a good experience once you arrive. Does Bluewater have in-room kitchens? Answer: Yes, our Lodge, Lake House, and duplex Cabin accommodations make it easy for you to save on food while visiting the area by letting you prepare your own meals. 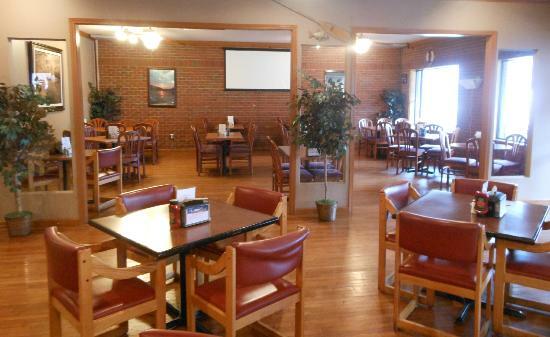 We’re also happy to recommend some of the excellent restaurants in the Dayton TN area. Does Bluewater offer Laundry Service? Answer: Yes, all Lodge guests are issued keys that work for the laundry room, which is available for guests at no cost. There is an $8 fee for RV guests to use the laundry facilities. Guests should bring their own detergent if they specifically plan to use the laundry room. So Bluewater doesn’t offer daily turn down service by housekeeping? Answer: No, we do not. In that sense, Bluewater is more like a condo rental than a traditional hotel. What are my options if I need to take care of some business while I am vacationing at Bluewater? Answer: We are happy to let you use the Conference Room (if available) and are happy to fax documents or make copies for our paid guests. Are there any wheelchair accessible accommodations at Bluewater? Answer: Yes! When we built our new Lodge, we made all rooms wheelchair accessible. We even have one room, C4, with a built-in shower specifically for those with mobility issues. 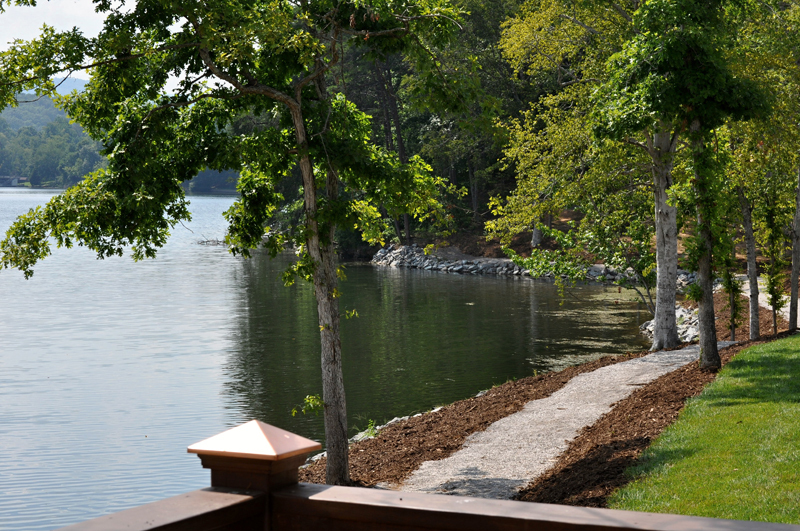 We want everyone to be able to stay on the water and enjoy the tranquility of Chickamauga Lake. When is the General Store open? What can I buy there? Answer: We sell bait during the season, as well as line and limited food and beverages. Minnows, worms, night crawlers, and crickets are among the available bait. The General Store is open between March 1st and October 31st during the hours of 8 am to 6 pm seven days a week. Additionally, we are just minutes away from Wal-Mart, Lowes and other Dayton TN shops. Can I purchase gasoline at Bluewater? Answer: We sell 89 octane 100% gas. No ethanol. Answer: Guests can access the pool from 9 am to 9 pm. There is no lifeguard on duty. Swim at your own risks. We ask that parents do not leave children unsupervised in the pool. The pool may be closed during some time periods when our Lodge-side Pavilion is rented for private events. We will do our best to accommodate your time enjoying the pool! Please be respectful of other guests and help us to keep the pool and Pavilion in top shape. Can I use Bluewater’s Pool, Pavilions, Pond, Playground, and/or Boat Ramp if I am not a guest? Answer: These facilities and amenities are intended for paying guests of Bluewater Lodge, RV Resort and Marina. Can I park my boat at Bluewater? Answer: We have 3 different boat slips available seasonally, covered and uncovered, ranging from $100-$450 per month, depending on the size and type of dock. Can someone teach me how to fish? Answer: USCG Licensed Captain Billy Wheat, owner of Rip-Rap Fishing Adventures Guide Service, launches from Bluewater. Rates are $200 for up to 2 people for 4 hours of fishing or $300 for up to 2 people for 8 hours. Rates go up for each additional person after 2, and with follow boats tagging along. To book your guided fishing adventure with Captain Wheat at Bluewater, call (423) 987-2606 or email him at riprapfishingadventures@yahoo.com. What is Bluewater’s cancellation policy? For Lodge stays, we keep a 1 night deposit fee for any reservations cancelled within 7 days of the stay. If the reservation is cancelled before the 7 day mark, we fully refund the deposit. For RV reservations, there is a 1 night, nonrefundable deposit on all stays, regardless of the time of the cancellation. What is there to DO in Dayton besides fishing? Answer: We have some events listed on our attractions page http://www.bluewaterdayton.com/dayton-tn-attractions/ if you need ideas. Dayton is also great for hiking, shopping, golfing, geocaching, and visiting historic locations like Bryan College or the courthouse where the Scopes Trial happened. 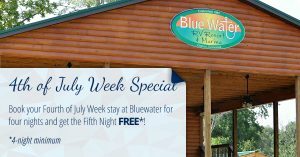 Contact Lodge Manager Barron Wilson at barron@bluewaterdayton.com or call us at (423) 775-3265 during business hours (8-6). Read about Ponds & Plants, a Dayton business that is “part pet store, part zoo, part playground, part wildlife refuge and part sculpture garden”.